Not sure if I ever told you about my participation in Wanderlust 2017 hosted by the Averys. 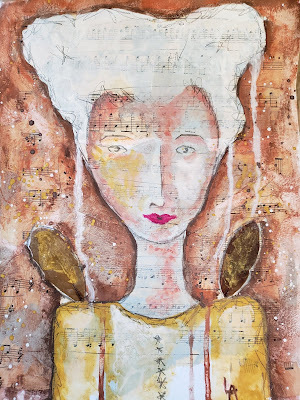 I was enticed to join this yearlong journey by the participation of several favorite guest artists, but most especially by Rae Missigman. When her lesson aired, I was deep in the recovery process from rotator cuff surgery on my dominant arm less than one month prior. 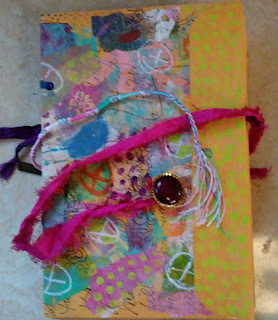 Her lesson was creating a simply sewn, handcrafted art journal using everyday office supplies. Brilliant. Beautiful. However, not something I could do at the time. So, I eventually downloaded the videos and the .pdf document with the intention of "someday" creating this precious book. As the time drew closer to my daughter's birthday (which fell this year on Thanksgiving Day), I decided I would give the journal a go with, of course, some variations to make this journal specifically my own. Paired with an instructional book on watercolor techniques, it was an exceptional hit. I can't begin to tell you how much fun this project was to make and to give. It was received with total delight and great anticipation about filling the five individual signatures with different themes (not my idea). 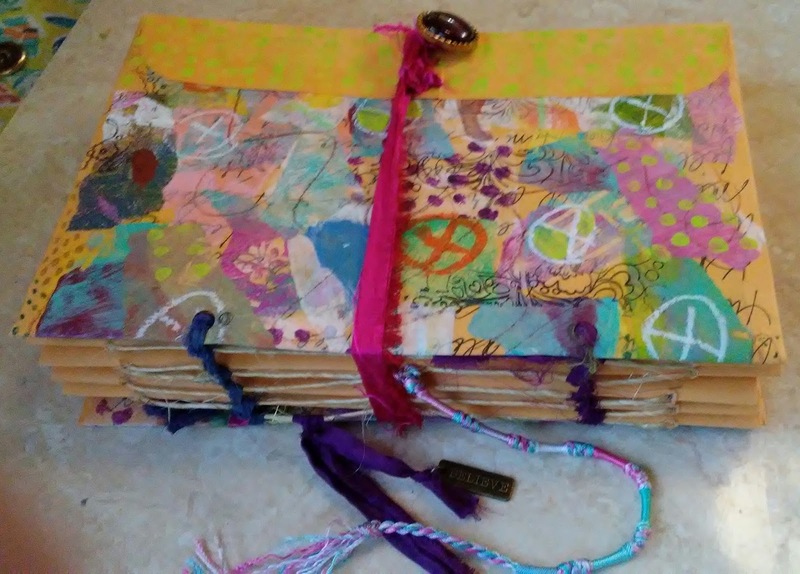 I hope you'll be inspired to create one (or several) as unique gifts that inspire.